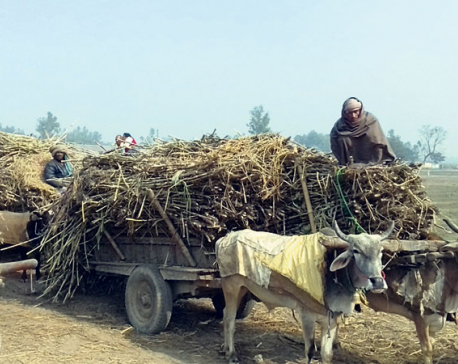 BUTWAL, Feb 11: Three sugar mills of Nawalpur and Parasi districts have started crushing sugarcanes. However, farmers have not got payment for their canes. Sudhama Koiri, a local farmer, sold sugarcanes to mills in credit. He has yet to receive payment for sugarcanes sold to the mills last season. Some farmers have taken loans to harvest canes and transport them to the mills. Of the three sugar mills, Sunwal Sugar Mill and Indira Sugar Mill have already begun crushing, while Bagmati Sugar Mill is preparing to start operation. According to Sugarcane Producers’ Association, mills owe local farmers around Rs 60 million more sugarcane purchased last year. Of the amount, Indira Sugar Mill alone owes around Rs 50 million. 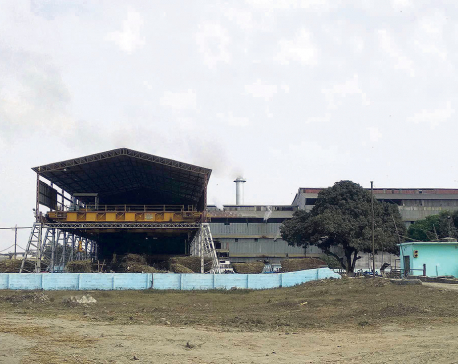 Talking to Republica, S P Shukla, general manager of Indira Sugar Mills, said that the mill paid famers around Rs 15 million over the past few weeks. “We will clear all outstanding dues within few weeks,” he added. Bagmati Sugar Mill and Sunwal Sugar Mill owe farmers about five million rupees for sugarcane purchased last year. Local farmers, who are forced to sell canes to mills in credit, say they do not know whether the mills will pay them the minimum support price fixed by the government. Shukla of Indira Sugar Mills says that the mill will not be able to purchase canes in the price fixed by the government. Indira Sugar Mills has agreed to pay farmers Rs 472 per quintal of canes including the subsidy promised to the farmers by the government. The rate is Rs 65 per kg less than the floor price fixed by the government. The government has fixed minimum support price of sugarcane at Rs 472 per quintal excluding subsidy of Rs 65.28 per quintal. Sunwal Sugar Mills has said that it would provide farmers the price fixed by the government if price of sugar rises in the market. Sugarcane farming is done in 7,500 hectares of land in the two districts. Local farmers produce around two million quintals of sugarcane annually.